Cuando su crucero zarpe en el Puerto de Cruceros de Livorno, vea más de Italia en menos tiempo en una excursión en autoguía de 7 horas a Lucca y Pisa. 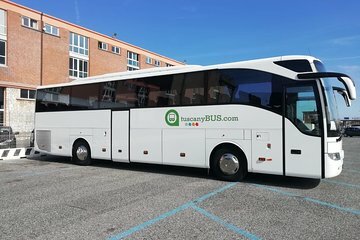 Viaja con comodidad y comodidad en un autocar con aire acondicionado equipado con Wi-Fi, y pasa el tiempo libre explorando Lucca y Pisa, famosa por la Catedral de Lucca (Duomo di Lucca) y la emblemática Torre Inclinada de Pisa, respectivamente. Servicio de grupos pequeños limitado a 15 pasajeros. Ideal para pasajeros de cruceros con tiempo limitado. Tour en grupo reducido limitado a 15 pasajeros. 15 minutos antes de la hora de salida de las 10:30 a.m., aborde su autocar con aire acondicionado en el puerto de llegada del autobús en Via Cogorano, a la que se puede llegar fácilmente en autobús desde el puerto de cruceros de Livorno. Tras un viaje de 1 hora, llegarás a Lucca y pasarás el tiempo libre explorando Porta Sant'Anna, cerca de la Catedral de Lucca (Duomo di Lucca) y una gran cantidad de cafeterías. Luego, regrese al autobús para el viaje de 30 minutos a Pisa, donde tendrá 1,5 horas para explorar la Piazza dei Miracoli, hogar de la emblemática Torre Inclinada de Pisa, el Duomo y el Baptisterio de Pisa (Battistero). La llegada a su punto de partida original en Livorno se espera antes de las 5:30 p.m. This worked perfectly! Easy to get to main bus station in Livorno - easy to get on bus to Lucca! Perfect amount of time in Lucca and Pizza. Since all riders were from 2 cruise ships, they took us directly back to the ship - what a pleasant surprise. These people under promise and over deliver - I love it!! Highly recommended. From booking, confirmation, pick-up, the tour it self, all was an absolute pleasure. Viator and it's providers have made this trip a wonderful experience. The tour guide was highly knowledgeable, the pace, timing at each place and the places visited are perfectly planned. Our guides were Elena and Ernestodriver.  I didn't know what to expect from this booking as it was simply called a transfer.which is what I was looking for, but Elena was full of information on the way which was a bonus. The breakdown of time between Lucca and Pisa was perfect. Lucca was allotted 4 hours which was great, time for a wander, to climb the tower, have some lunch Pisa was given an hour which was more than enough for me. It was wall-to-wall people all taking selfies etc, and numerous vendors as you entered the main area. I had been to Pisa twice before several years ago and will not visit again. Because all of us on the bus were from the same ship we were even dropped of right at the cruise terminal which was another bonus. There were four of us travelling together and we were all very happy with this round-trip transfer service. Pisa was crowded, which is the rule, I expect. However, it was good to see the tower and the other buildings. It's one of the must-see sites and we weren't disappointed. Lucca was a wonderful surprise we enjoyed just wandering around, taking in the sights and relaxing. A good excursion, with lots of interesting information from the guide. Go ahead and book this. Our cruise docked in Livorno and I was interested in seeing both Lucca and Pisa. This tour transports you in a comfortable ac coach while providing you with information for your day in both cities. Elena was our guide and was exceptional. Best tour of my 2 weeks.